lol Thanks for commenting, Hilary! Wish I had time to do a video. Proud of all the authors in Hero Lost. My video was 18 seconds long, but I did have to give it a try a few times. Good thing you enjoy researching stuff that makes you cringe 'cuz that's gotta be essential to writing a gripping zombie novel. 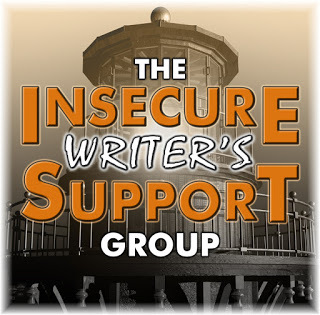 Thank you for your continued support of IWSG. Yup, when you write about zombies, you have to do a lot of icky, scary research. Wow! I just love what Reedsy is doing! That is fantastic. Not sure if I can get one done, but I'm wishing everyone who participates all the best. I will check it out, though. So awesome about the anthology! My video is 18 seconds long, and you have until May 8th. For fun sure is the way and rhyme works any old day. You sure found lots in your research indeed. Ooh I think voodoo would be cool to research but also scary. So creepy! I think the Reedsy idea is so great! Good for you for doing it. I'm so terrible talking on camera that I am too nervous to make videos. From crime fiction to rhyming picture book - that's quite the genre leap. Did you combine zombie and voodoo research and watch Serpent and the Rainbow? I did combine zombie and voodoo research. But I haven't seen Serpent and the Rainbow. Really looking forward to Flaming Crimes, Chrys. I love a good firey story - even wrote one once, and still love it. I think I'd be having nightmares after researching zombies. Have a great week. Congratulations to all authors and people involved in The Anthology. I'm sure it will be a success. Wonderful post this month Chrys, hope your writing goes well. Take care. Thanks, Yvonne. I am doing good. I hope you are, too. 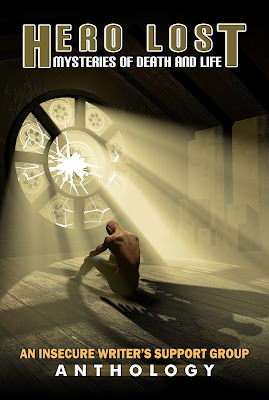 Congratulations to the release of the Hero's Lost anthology! I had to learn how to make a video on my laptop. lol It was my first time. If you have an iPhone, which I don't anymore, it'll be easier. You are so very brave! I always snag one or two beta-readers. I'm always questioning my writing abilities. Ugh. Hope you get that pic book published too! Usually, I snag one-two beta readers, too, but there was something about this one that told me not to let betas touch it. Maybe because a lot of it came from my real life. Idk. Thanks, Christine! And thanks for commenting. I can't imagine being that confident about something I wrote. That's awesome! Good for you! I love what Reedsy is doing. Great cause. It's usually rare for me, too. Good to feel confident! I'm not sure I've ever had the feeling, but it sounds awesome! That was my first time being that confident in one of my stories. I've researched voodoo a little too. It was a long time ago for a story that didn't really have a plot. No kidding, Ms. Confident! Can I borrow some of that? Kidding. I'm doing great. Keep doing what you're doing, eh? I'm sure you'll get to that book soon. My brother adores zombie fiction, and writes some of the most gruesome, brutal stuff I've read. The thought of that research makes me cringe! Bravo for bravery. It is cringe-worthy research for sure. That's the best thing to think - it's for fun. I think it's so easy to forget that we write because we love to write, before anything else. Sometimes we need reminding. I can't wait to read that anthology! Exactly. Before I started trying to get published, writing was something I enjoyed day and and day out. Recently, I lost that. But I'm trying to get it back. So what was it like research voodoo? Did you learn anything to help save us from the zombie apocalypse? I can imagine getting so caught up that the research that I'd never get any real writing done. So much great info, thank you. That is some neat research. Congrats on submission to publisher. Proud of you. Love watching you grow. Congrats on submitting your book to the publisher! I don't think I could ever be that confident. Oooh, I've done a bit of voodoo research too. Fun stuff. lol Fun and strange. Very strange. The anthology looks interesting, Chrys! Your picture book sounds wonderful too. Did you do the illustrations? That's a good way to look at submissions, as fun. You next book also sounds intriguing. Lots going on over here! Nope, I didn't do the illustrations. I can draw but not as good as picture book illustrations should be. No doubt, that's an art all its own. I'm glad you're feeling so confident about your writing. All best wishes for Flaming Crimes. That rhyming picture book sounds fun. Submitting for fun - I love your approach! It's how it should be...to keep us sane and happy. Thanks so much for sharing the Reedsy video project. I keep meaning to do something ... I will, maybe tonight or tomorrow. I'm just glad you've put it out there on facebook and here. Love next month's question ... I definitely have, kind of tried to quit. But anyway, the Reedsy thing is cool! I'll have to do a video! WOW! That is crazy random. I like how confident you are with that submission. I believe in you too. Good luck with the picture book! They're so fun to read and write, and a lot of picture books nowadays have such beautiful illustrations. I wish I could illustrate my picture book. Alas, I'm not that talented at drawing. Have you published your zombie story yet? My hubby loves zombie-related books, TV shows, movies, you name it, so I'm sure he'd love to read it. Congrats on finishing your picture book. I had to write a picture book manuscript in grad school, and I'm pretty sure it was awful. They are deceptive--they seem so easy to write, but man are they tricky little books. Good luck with your submission! It was my pleasure, really. You're story was so well done. Researching for writing can lead to many different things. You're just full of good news - yay for all! I hope you don't ever quit. Can't wait to read the new anthology! I like the question for next month! Hmm . . .
Next months questions will be a nice, deeper look into everyone as a writer, and their struggles. When I thought I wouldn't write anymore--too much family stuff going on--I told myself to write for fun. Forget about publication. Just try to get back the joy of writing. I was thrilled with it came back. Good for you! I've been trying to get back the joy of writing. It's been tough for me. Voodoo must have been fascinating to research. That sounds so cool, with your research on voodoo, and viral diseases. Well, maybe not viral diseases! LOL!